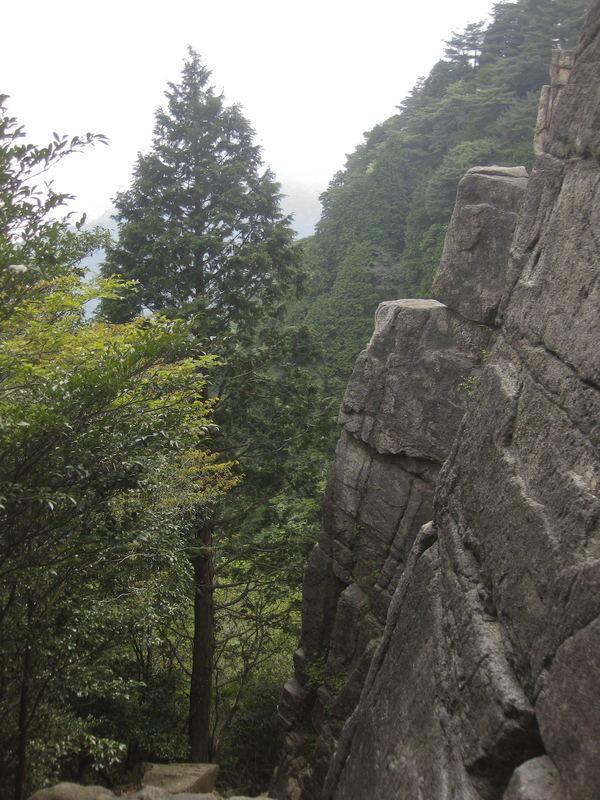 Managed to take a trip up to the Rokko-san climbing area near Kobe today. The idea was to do a little teaching, take a friend on their first ever outdoor climbs and, frankly, get back into climbing on rock myself (not since last July, unless you count a little winter mixed!). Taught A LOT and put it into practice on a couple of nice gentle routes (IUAA Grade III) which went really smoothly. Feels good to get back on rock, even at the easy end of the grade spectrum. I don't mind a nice gentle reintroduction, anyway! 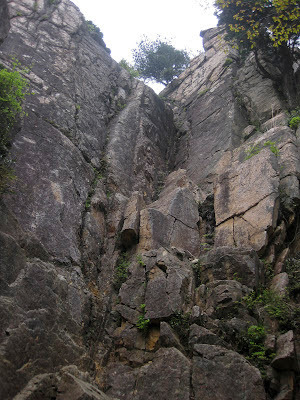 First route was a corner/face route (the obvious large corner in the first photo below) and the second was a really rather nice crack for the grade, with actual real handjams to be had (second photo - the obvious feature!). Also tried a III+ face route to the immediate right of the aforementioned crack but it was totally blank and unprotectable and not really ideal introduction fodder so I traversed across into the crack and just ran that route again from about halfway! 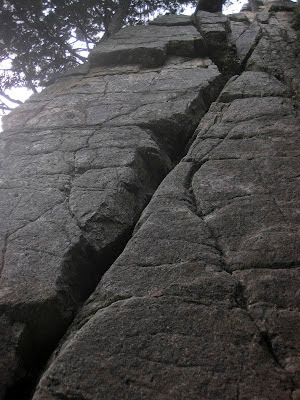 Second route was this stunning crack, excellent at the grade (III) I thought. The III+ face route to the right is way blank and should possibly be bolted - looks like decent climbing though. The day was notable for two particular reasons in addition to some good climbing. 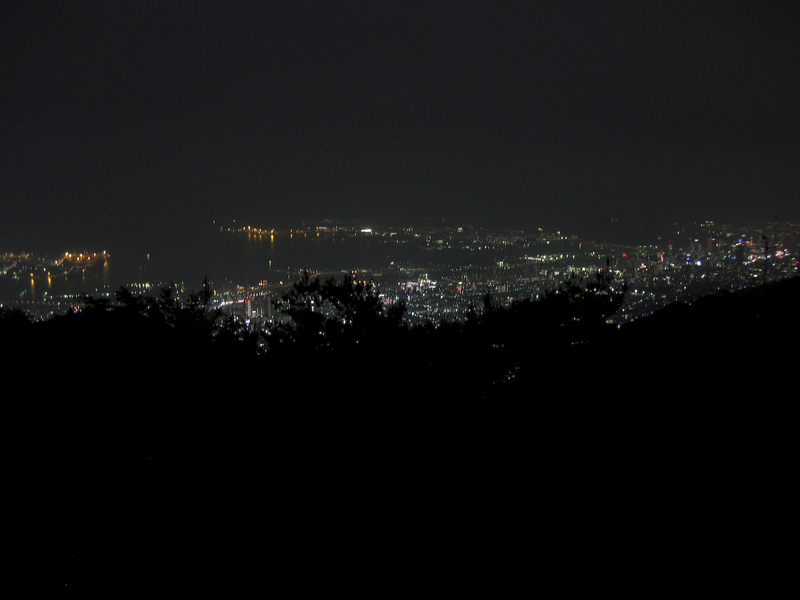 First was the excellent view of Kobe and the Osaka bay area, which was visible as the sun set (see the rather poor photo below). 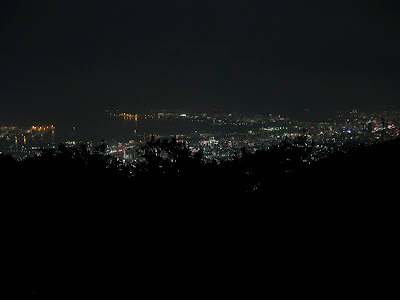 View from the top of Rokko-san across to downtown Kobe (Sannomiya area in the centre). If one decides to sting you, it will inject a venom that can potentially kill you even if you are not allergic. In addition, the hornet releases a pheromone which attracts more angry hornets to your location, as if one of the bastards wasn't enough. Suzumebachi kill more people every year in Japan than all other animals combined. These things are horrible, horrible creatures and should not exist. You wouldn't get these in Snowdonia!